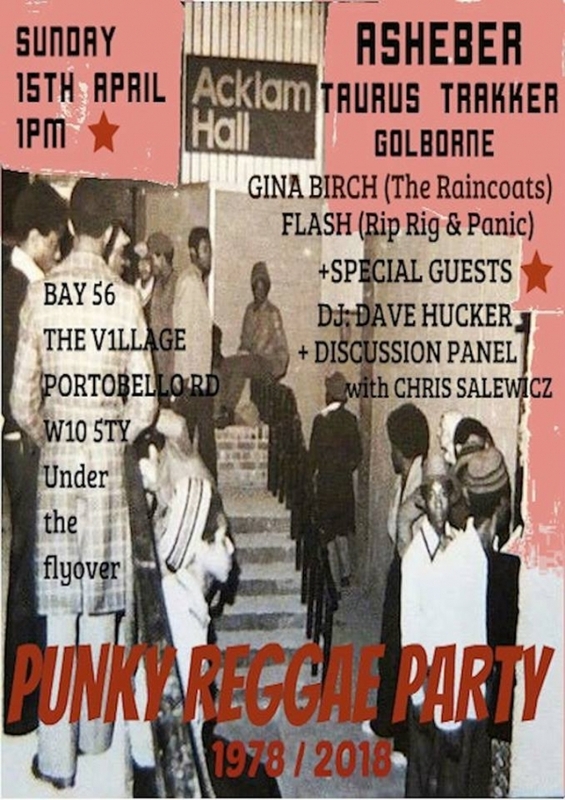 Bay 56, The V1llage presents a Come Unity Punky Reggae Party. Celebrating history of Grove, and keeping our culture alive..recreating Acklam Hall..discussion panel followed by live bands and DJ..original prints from 70s Paddington Print Factory Adm by donation. Bay 56, The V1llage presents a Come Unity Punky Reggae Party. Celebrating history of Grove, and keeping our culture alive..recreating Acklam Hall.